Whether you’re decorating a home or choosing your outfit, mixing prints is an art. The blank canvas–an empty living room sofa or your Friday night outfit–can be intimidating. Deciding which patterns to pair with which can seem a daunting task at first, but if you follow a few simple ground rules, mixing prints can be a breeze. My inspiration for this post came from Caitlin Wilson’s ingenious tips for selecting throw pillows for your living room. Caitlin lays out three methods of print mixing throw pillows, but you can easily apply the same rules to pairing outfit pieces. I’ve broken these rules down into three levels of difficulty below.1. Beginner: Monochromatic color palette. This outfit is an example of this rule in play. I’ve paired a black and white sweater with black and light brown animal print (cheetah? leopard? I never do know…). The black in each print pairs and plays well with the other. Colors in the same color family tend to get along well together. The important thing is to choose the same one or two colors in all outfit pieces, like I’ve done here, to create a cohesive outfit (right down to the accessories). Coordinated colors/patterns simply means using proportionally larger/smaller amounts of certain colors to tie multiple patterns together. It may sound a little complicated, but it’s not. 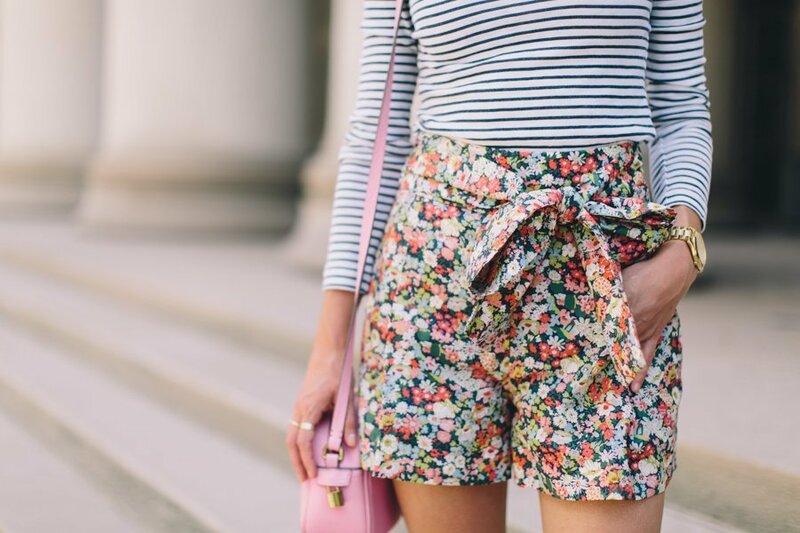 You probably mix prints this way all the time, but don’t realize it. 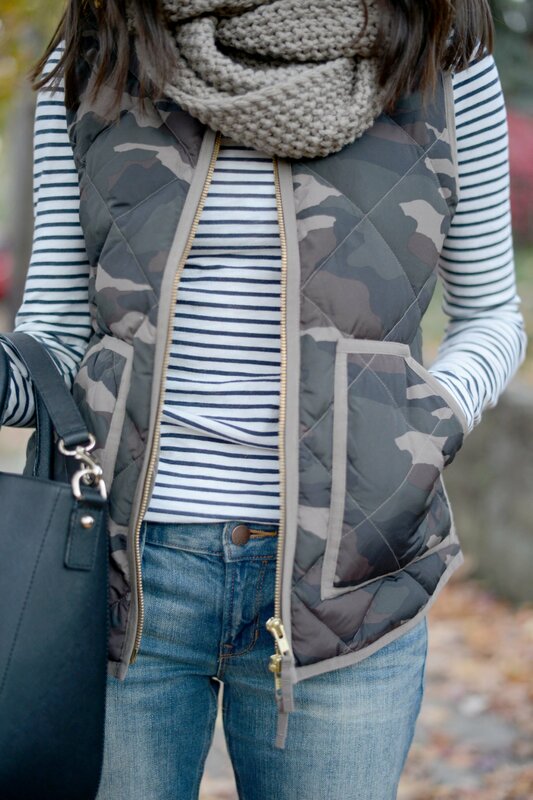 This blanket scarf and striped tee combo is a perfect example. It also goes to show that mixing prints doesn’t have to just mean your tops and bottoms–it can be your accessories (scarves, gloves, belts, bags) or even shoes. A dash of connecting color between two otherwise different prints can really tie an outfit together. Using the word “juxtaposition” just makes you feel smarter, doesn’t it? Anyways, it’s just a fancy way of saying placing two contrasting things next to each other. For example, this Paris print tee and animal print (again, species TBD) shorts. The key to this technique is choosing an item that “plays” as a darker print, and one that plays more towards white, or something muted. See also this post on print mixing with accessories and another few examples of juxtaposed pattern mixing (and here). So that’s it. What kind of outfits can you make? Happy print mixing!